Graphic organizer used for students to find firsthand and secondhand accounts. 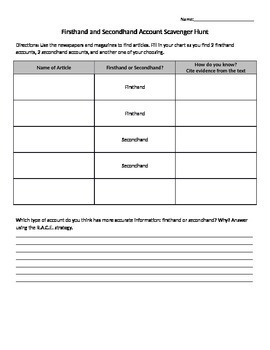 This graphic organizer requires students to find five articles and cite evidence explaining how they know whether they are a firsthand or secondhand account. After find the articles, students use the information to answer a constructed response question.